The program provides an opportunity to examine personal and professional accomplishments and how to work more effectively with colleagues. Read more below on this highly anticipated interactive leadership session. The Canadian Veterinary Medical Association holds the 10th edition of the CVMA Emerging Leaders Program (ELP) at the 2019 WSAVA/CVMA joint Congress (https://www.canadianveterinarians.net/science-knowledge/annual-convention) in Toronto, Ontario in July 2019. Generously sponsored by Virox Animal Health, the Program helps Canadian veterinarians, registered veterinary technicians/technologists and veterinary leaders/managers to identify and develop leadership skills while building a leadership network within the profession. Low staff morale, burnout, financial challenges, workplace drama and a host of related challenges can easily make our veterinary careers less joyful. 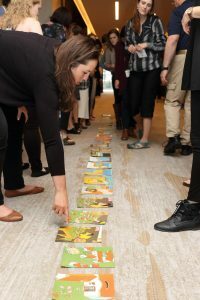 The Canadian Veterinary Medical Association created the Emerging Leaders Program to help bring joy back into the workplace by teaching graduates and experienced professionals alike how to cope with a variety of challenges encountered in veterinary practice. It gives an opportunity for individuals to explore their approach to personal and professional accomplishment and their working relationship with colleagues. The Program, sponsored by Virox Animal Health, is a highly interactive eight-hour workshop spread across two half-days. Dr. Rick DeBowes shows that practice can be fun if you let it be! As Professor of Surgery and Director of the Professional Life Skills Program at the Washington State University, College of Veterinary Medicine, Dr. DeBowes has practiced in both private small animal practice and academic equine practice settings. 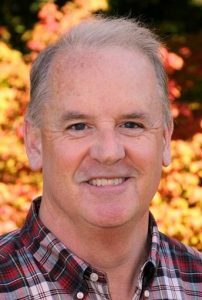 He is a frequent speaker and presenter of leadership programs and co-developed the AVMA Veterinary Leadership Experience and a series of other interactive, experiential leadership education experiences for health care team members. These unique programs have been presented to students, faculty, practitioners and health care team members in numerous countries across four continents. The program is open to all interested members of the WSAVA and CVMA, the Registered Veterinary Technologists and Technicians of Canada (RVTTC) and veterinary leaders/managers for a low registration fee through the WSAVA/CVMA Registration.